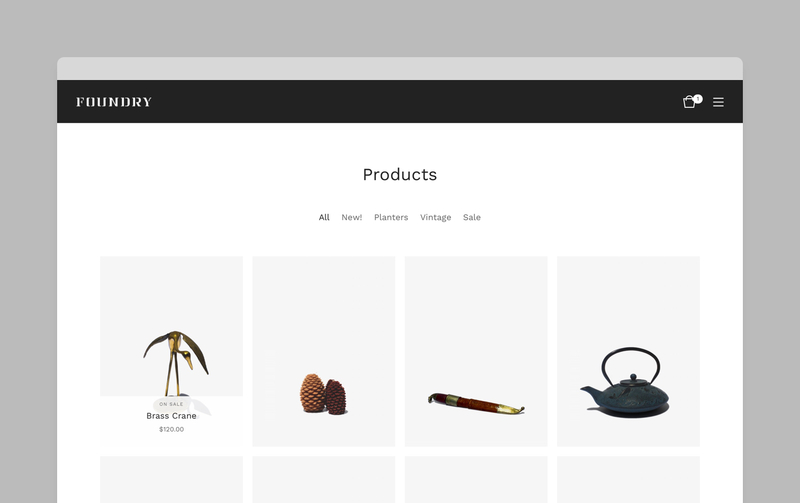 Foundry is a versatile store theme with loads of customization potential. Created with clothing brands in mind, this theme works well for any store with multiple categories and many products. Whether you're highlighting new products or showcasing different product categories, feature up to 10 of each on the Home page. Shoppers get a quick glance at what's in their cart, without ever leaving the product page. Choose to show product names and prices on rollover, or underneath the product thumbnail image. Ready to get started? 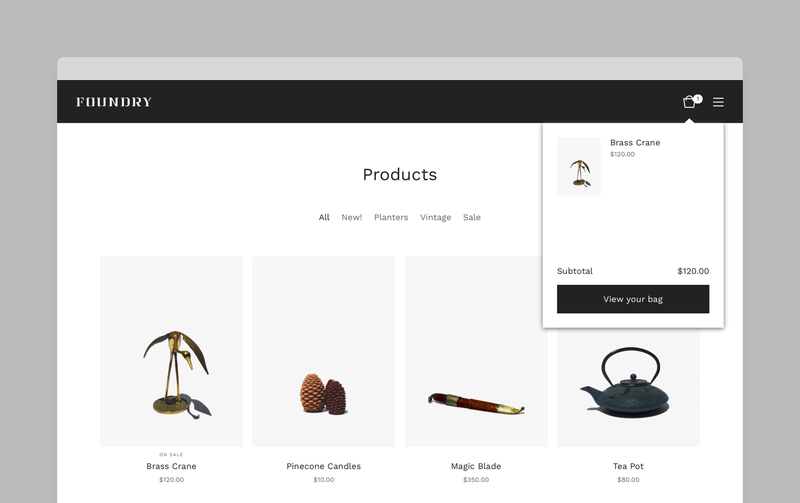 Log in to your admin, click your store name in the top right corner, then Customize design. 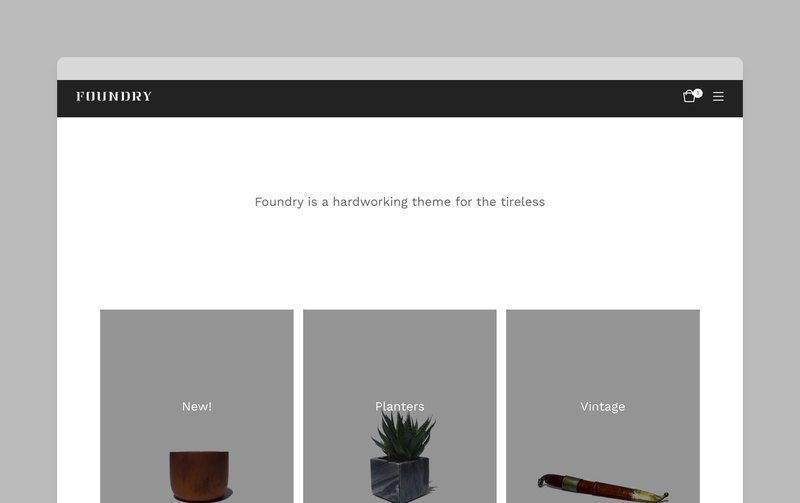 Choose Foundry from the list of themes, and you're ready to customize. Don't have a store? Sign up here!